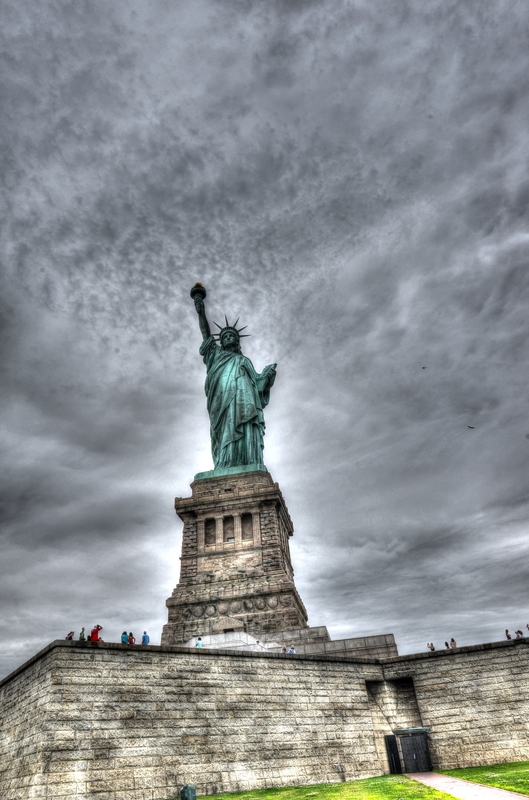 We were lucky to visit New York City over the fourth of July holiday. Once Don learned of an RV Park in Jersey City NJ he had to visit. We did not go to experience the great RV park (nothing but gravel surrounded by construction and marinas…) nor the relaxing drive (North New Jersey – no way!) 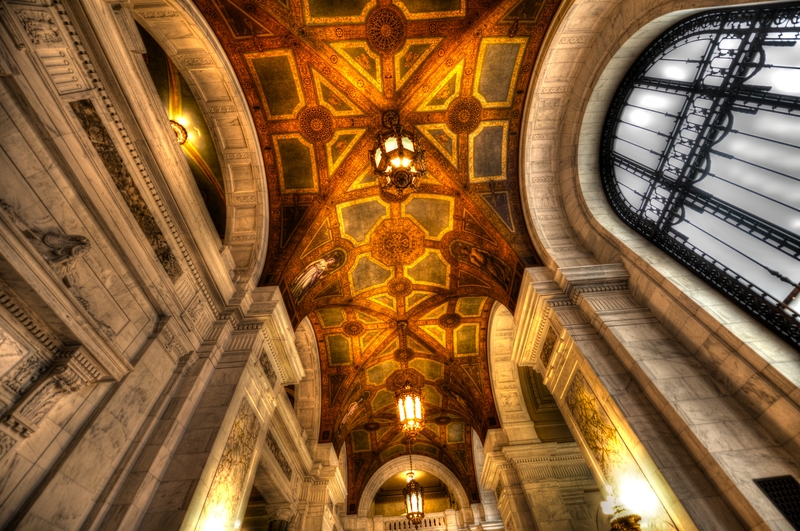 but for the close proximity to New York City – a 15 minute Path train ride away or a commuter ferry across a parking lot. Another post with pictures of the RV park can be found here. 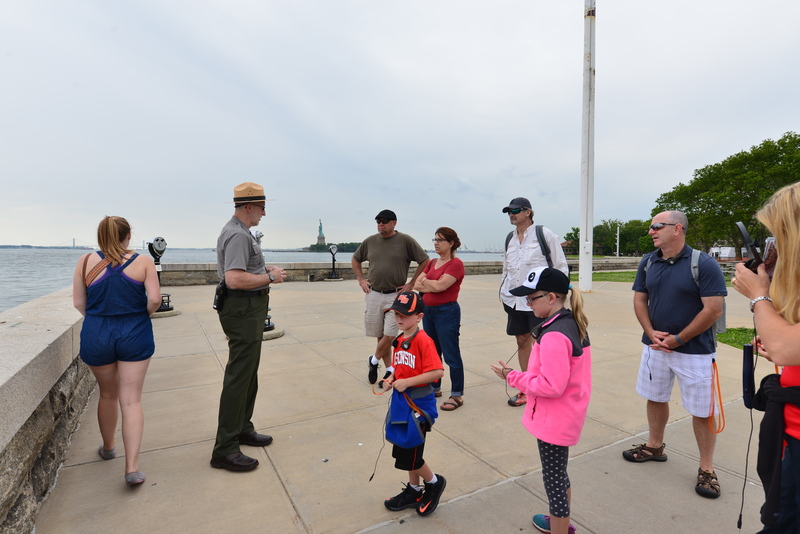 We loved the RV park and enjoyed a special treat – visiting the Statue of Liberty on the Fourth. Crowded and swarming with visitors from all over the world – it was a special treat to see this spot on a great National Holiday. Lots of people celebrating the gift that France gave our country. We timed a visit to the Statue of Liberty on the 4th of July holiday. Maybe not the smartest timing – and it was great. 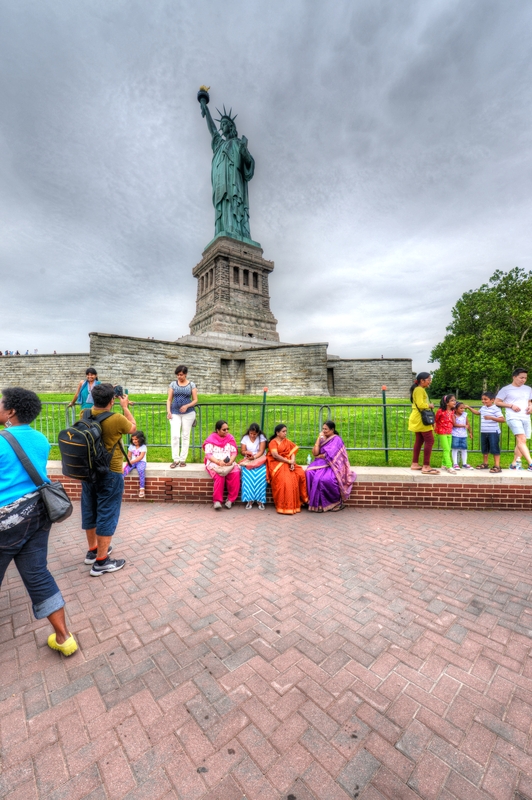 Liberty Island was mobbed with people visiting. It was great to see hordes of people viewing and appreciating the gift that France gave this country. People were in a festive mood and we enjoyed watching the people enjoying the Statue, Ellis Island and the great view of lower Manhattan the ferry ride offers. 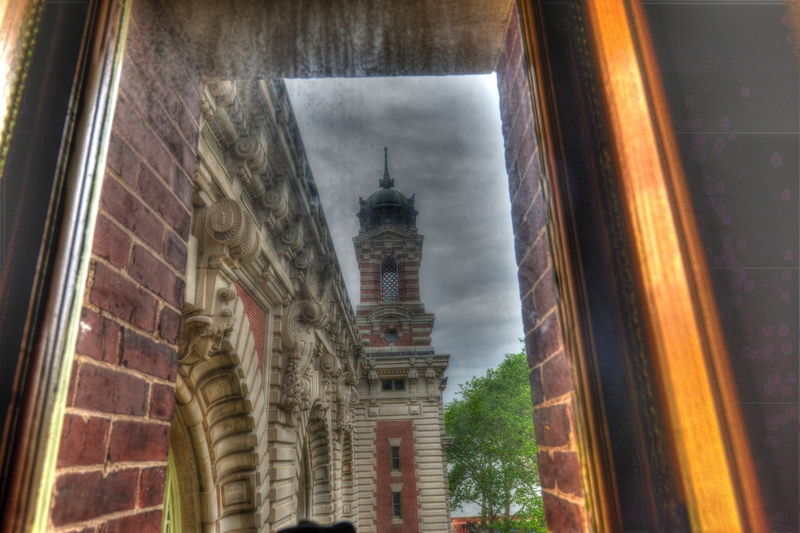 Ellis Island – a place I had wanted to see since it opened as a National Park in 2008. 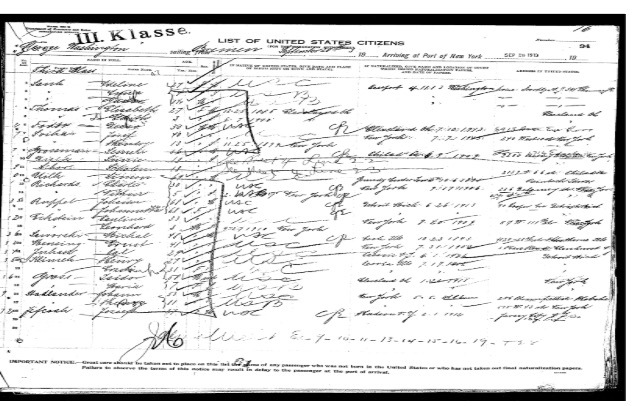 My relatives came through Ellis Island at a very young age – this is the manifest from the ship my Uncle took across the Atlantic in 1917 – ship name the the George Washington. 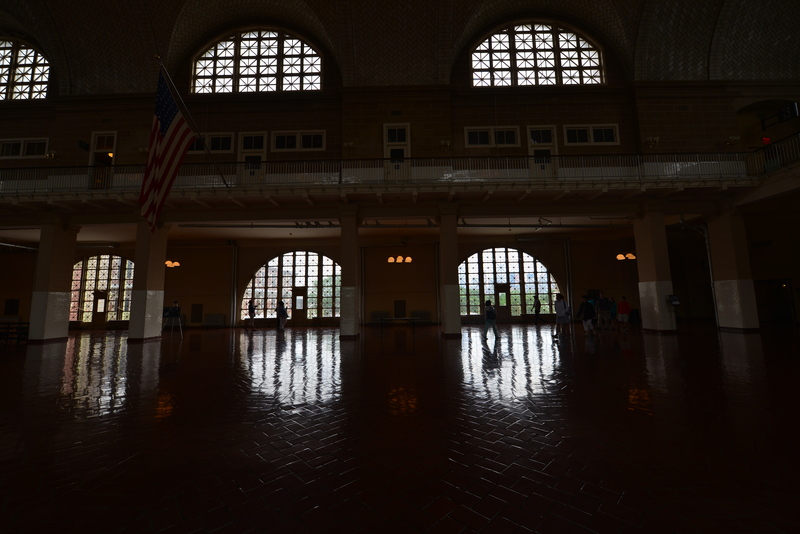 The buildings are beautifully restored – and still need some repair after Hurricane Sandy. 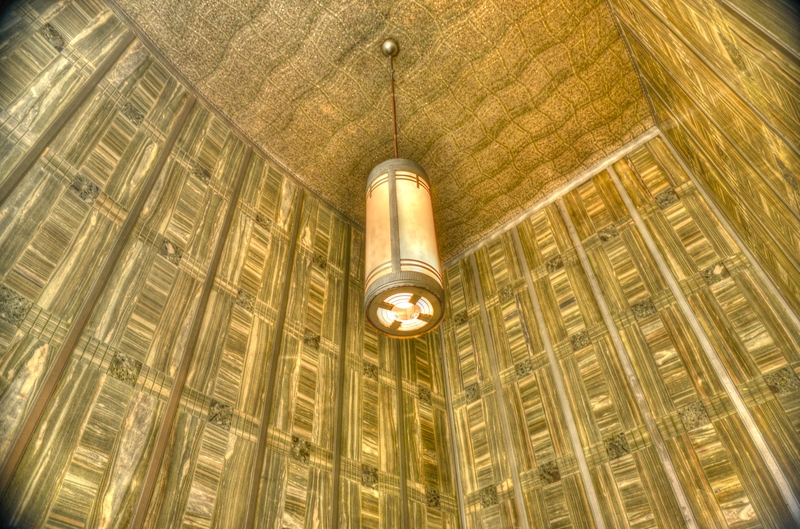 It is easy to imagine the thousands of people who came through the documentation center. 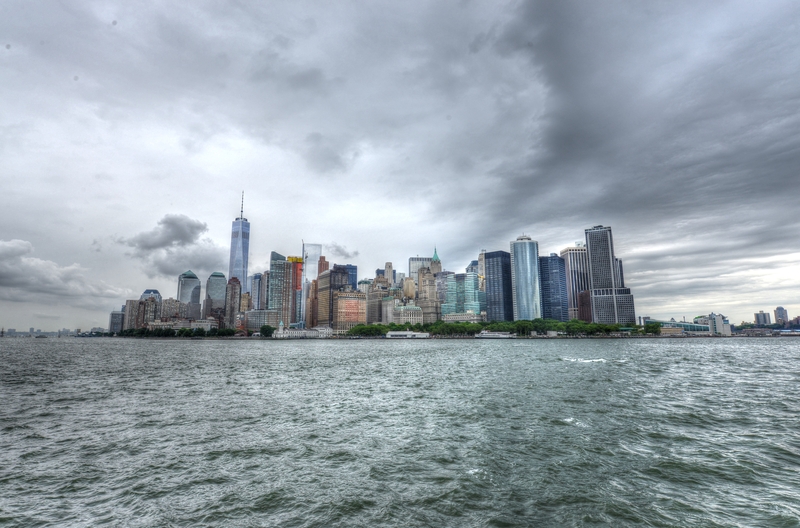 The ferry ride to Lower Manhattan provides a spectacular view of the city and was a great end to our visit. We were glad we discovered Liberty Harbor RV Park – and lucky to be able to travel to New York City in this unusual way. The people we spoke to at the Park also enjoyed it – despite the ‘nuts to butts’ aspect of the park – we were all on top of each other – we loved it. And, of course, love New York. 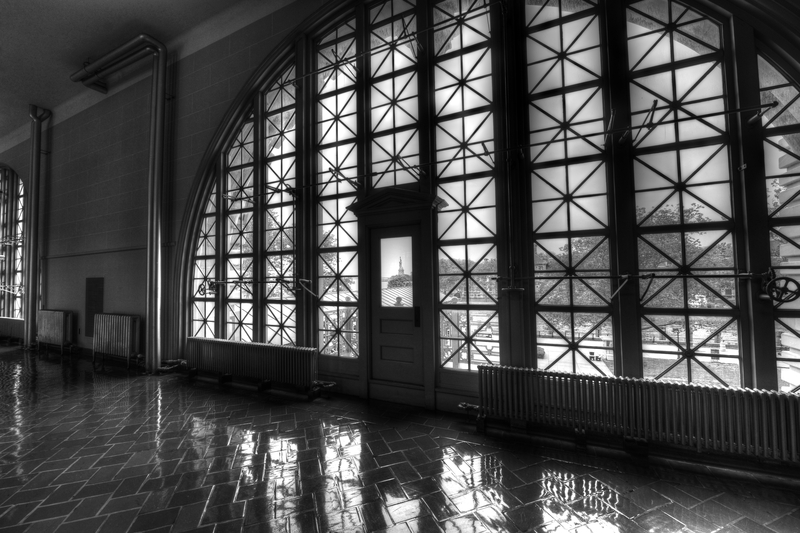 We snuck in a visit to the American Museum of the American Indian – a beautiful space in a former Custom House building. 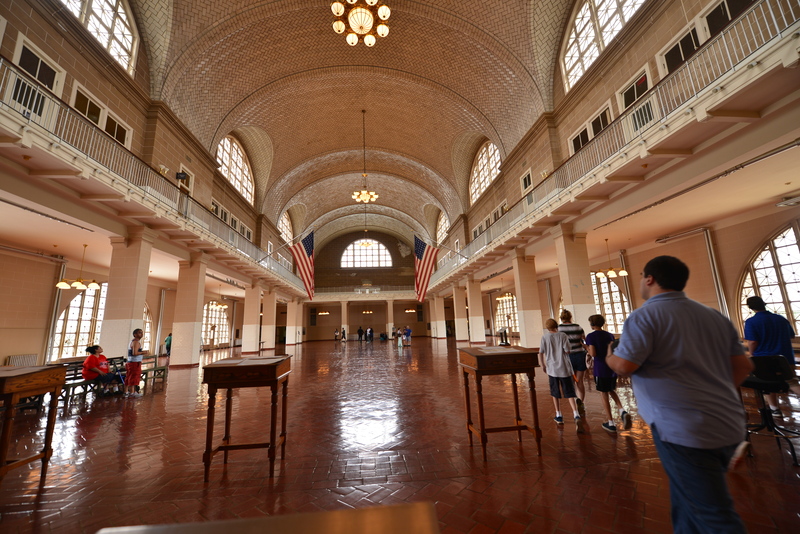 No pics of the displays allowed – but the architecture is great.